Twenty-two countries gathered at the I Latin America and Caribbean Conference to Reduce Inequities in Sexual and Reproductive Health, held September 6th-8th, 2016, in Cartagena de Indias, Colombia. The conference focused on three themes: 1) Access, quality and demand; 2) Financing and accountability; and 3) Partnership, inter-sectoral collaboration and advocacy. The Conference was organized by the Ministry of Health and Social Protection of Colombia, the Inter-American Development Bank (IDB) and its Salud Mesoamerica Initiative (ISM), United States Agency for International Development (USAID), the Reproductive Health Supplies Coalition (RHSC/LACForum), Family Planning 2020 (FP2020), the United Nations Population Fund (UNFPA), and the Colombian non-profit organization Profamilia. 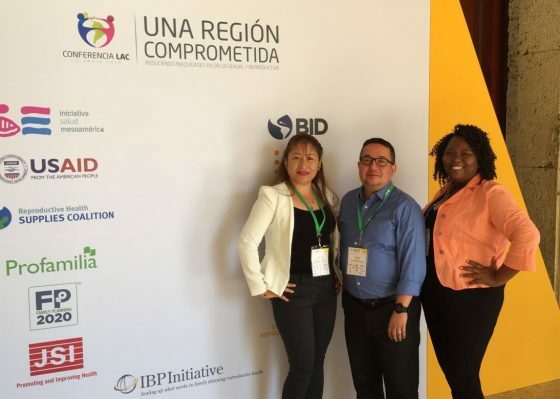 Eva Burgos from GOBelize, Ados May from the IBP Initiative, and Ivonne Miranda from GOJoven Honduras (left to right) worked together starting at the Conference opening. 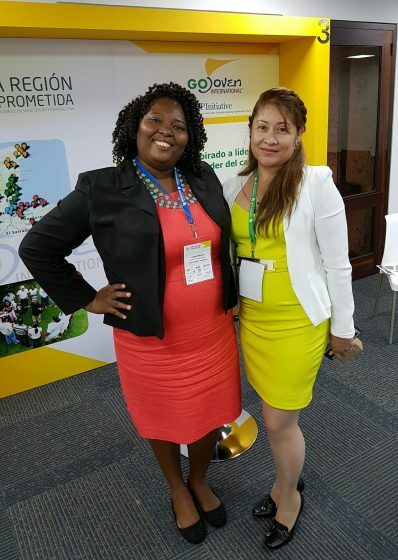 Eva Burgos, Executive Director of GOBelize, and Ivonne Miranda, Regional Coordinator of the Department of Colon, Assembly Member and Member of the GOJoven Honduras Association Audit Committee, were invited by the Conference’s Steering Committee to serve as Country Delegates from Belize and Honduras, respectively, also represented GOJoven International at this high-level forum. On the second day of the Conference, GOJoven participated in the booth area called the “Ideas Marketplace”, where Eva Burgos and Ivonne Miranda, with the support of the IBP Initiative, presented GOJoven International’s story to the audience, from its beginnings up to the present. They focused on how youth leadership training under the GOJoven Model is a promising practice for reducing inequities in sexual and reproductive health (SRH). Reaffirming youth leadership among other good practices in SRH, Ados May, Technical Advisor of the IBP Initiative’s Secretariat, shared the High Impact Practices in Family Planning (HIPs) developed by the IBP partner organizations with the support of USAID. Participants from Peru, Jamaica and El Salvador, among others, were some of those most interested in adopting the GOJoven Model methodologies in their countries. 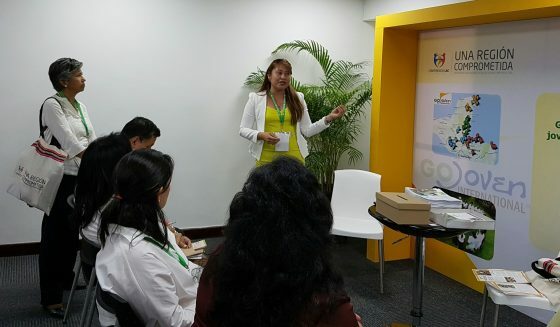 Eva Burgos, GOBelize Executive Director, presenting the GOJoven Model at the GOJoven and IBP Initiative shared booth in the Ideas Marketplace. The GOJoven presentation was deemed by many participants as one of the most useful and engaging presentations, as it offers a training model that can be adapted to the reality of many countries. Attendees were impressed by the fact that the program not only strengthens the young community leader in the area of sexual and reproductive health and rights (SRHR) issues, but also strengthens their educational level, thereby providing communities with empowered leaders with improved professional skills. 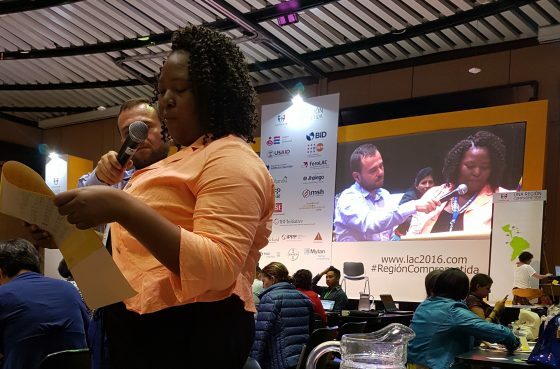 Such was the case of GOJoven Honduras alumna Ivonne Miranda, who presented her personal experience as woman leader of the Garifuna ethnic group who participated in the GOJoven program in 2009 in the Department of Colon. With a Summit Scholarship from the Summit Foundation, managed by GOJoven International, Ivonne was able to complete her university studies and obtained a Master’s degree in Psychology, specializing in Education. Ivonne Miranda, official delegate from Honduras, representing GOJoven Honduras at the Conference, during a public intervention in a plenary session. In the case of GOBelize, as a result of their participation in the Conference they further strengthened their collaborative relationship with and the commitment of Belize’s Ministry of Health (MOH), particularly regarding the draft national law for sexual and reproductive health. Although the draft law had been tabled, the Ministry of Health pledged to resume its efforts with the aim of having it passed and implemented. Having been part of these discussions in Cartagena, the MOH later invited GOBelize to help convene a Commission on Sexual and Reproductive Health. Ultimately, GOBelize was also elected to sit on this Commission, assuming an active role with the other national multi-sectoral stakeholders who will together consider, promote and propel the adoption of this regulatory framework for young people and adolescents’ rights, and for other marginalized populations in the country. After the Conference, the NGO Belize Youth Empowerment for Change (BYEC) also became a member of the Commission, under the leadership of another GOJoven Belize alumnus, Stephen Diaz (2013). Moreover, the Conference proved to be a space for dialogue and partnership-building for GOJoven. The two representatives introduced the work of GOJoven in several parallel working meetings with the Vice-Minister of Health from Honduras and with international organizations working in Latin America and the Caribbean, such as Population Action International (PAI), FP2020, UNFPA, the Inter-American Development Bank’s (IDB) Mesoamerican Health Initiative, and Pan American Health Organization (PAHO). As a result of the meeting with FP2020, Ivonne Miranda was featured on the FP2020 online radio program and blog “Family Planning Voices”, where they highlighted adolescents’ unmet need for contraceptives in Honduras and her efforts towards achieving increased access. See the transcription here. These two GOJoven leaders stood out as experts on the topic of youth leadership development for reducing SRH inequities, and are taking what they learned back to their countries to continue strengthening accountability and multi-sectoral efforts to advance the SRHR of the most vulnerable adolescents and youth. 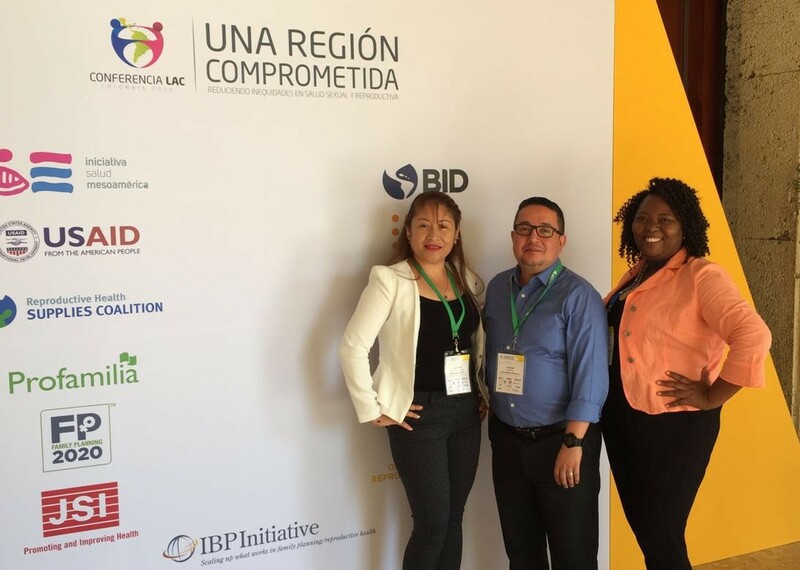 Both GOBelize and GOJoven Honduras saw immediate positive results of the increased visibility they gained for GOJoven at this high-level regional Conference. Learn more about the Conference content and check the archives and presentations here! The GOJoven team, after 8 rounds of presentations on GOJoven at the Ideas Marketplace, through which they spread the word about the GOJoven Model among the majority of Conference-goers.